Bel-Air Trade Show Cases are the industry choice for safely shipping and transporting your graphics materials, trade show displays, banners, art, and other objects that don’t fit into regular style cases. The overlapping lid design saves you money on shipping by giving you more flexibility with case heights, keeping your contents secure while reducing case weight. 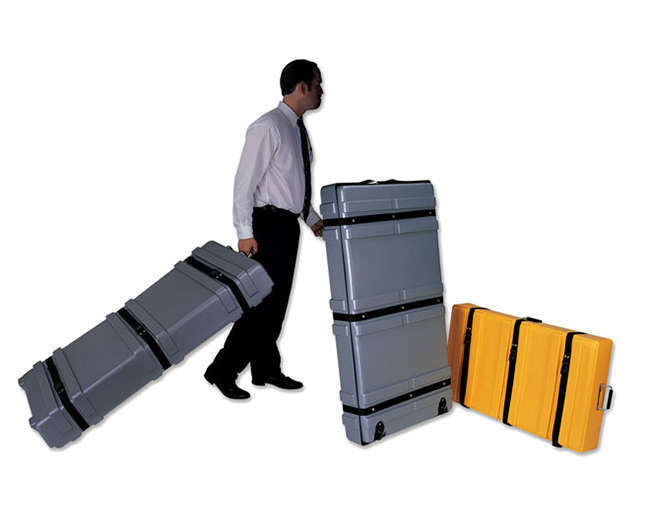 Bel-Air EXPO Transit cases are best used for wider, lightweight items such as graphics materials, framed pictures, tradeshow components, or paper airplane collections. The overlap lid design allows the lid to telescope over the base, creating variable internal heights. 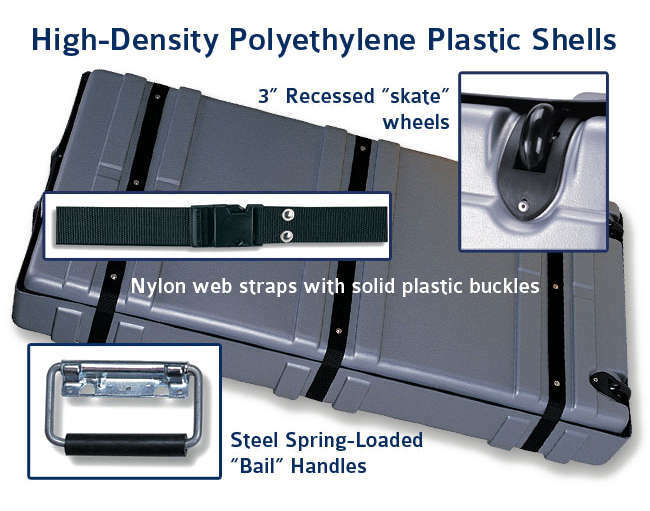 The lid rests on top of the base (or the contents if thicker than 5″) and the whole bundle is secured with the nylon straps and buckles. Molded in recessed wheel housings and strap protectors add to the durability and functionality of this case. Why Choose Bel-Air for Your Custom Trade Show Case? WE SET THE STANDARD FOR TRADE SHOW CASE MANUFACTURING. Bel-Air Cases has been satisfying the needs of packaging professionals and clients for over 50 years. As the original innovator and producer of vacuum-formed plastic shipping cases and carrying cases, we continue to set the standard for case manufacturing. 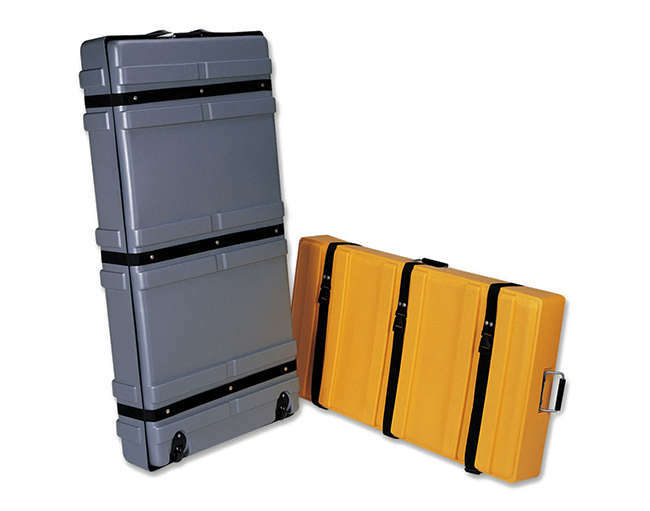 Our “made to order” shipping cases and carrying cases are available in hundreds of sizes and almost limitless configurations. With Bel-Air, you don’t need to settle for “off the shelf” cases, when we can provide a case with your ideal dimensions, components, foam interior, and appearance. We can even add a telescoping handle and built-in edge wheels to almost every case we manufacture.